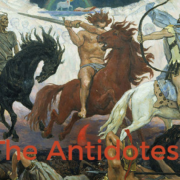 Antidotes to the Four Horsemen, or How to Repair & Strengthen your Partnership. https://saintlouisfamilycounseling.com/wp-content/uploads/2019/03/four-horsemen-antidote.png 369 799 Andrew Frager https://saintlouisfamilycounseling.com/wp-content/uploads/2018/07/Logo-blue.png Andrew Frager2019-03-13 21:55:212019-03-14 22:11:14Antidotes to the Four Horsemen, or How to Repair & Strengthen your Partnership. https://saintlouisfamilycounseling.com/wp-content/uploads/2018/10/woman-1006100_1280.jpg 721 1280 Andrew Frager https://saintlouisfamilycounseling.com/wp-content/uploads/2018/07/Logo-blue.png Andrew Frager2018-10-07 22:03:282018-10-07 23:21:29Suicide in my community. 21 Quotes that could change your life. 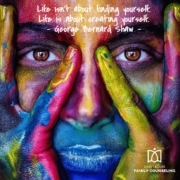 https://saintlouisfamilycounseling.com/wp-content/uploads/2018/08/George-Bernard-Shaw-creating-yourself-PixTeller-490941.jpg 1080 1080 Andrew Frager https://saintlouisfamilycounseling.com/wp-content/uploads/2018/07/Logo-blue.png Andrew Frager2018-08-26 20:14:022018-08-26 20:14:0221 Quotes that could change your life. 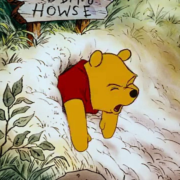 https://saintlouisfamilycounseling.com/wp-content/uploads/2018/08/pooh-bear-stuck.png 720 1280 Andrew Frager https://saintlouisfamilycounseling.com/wp-content/uploads/2018/07/Logo-blue.png Andrew Frager2018-08-06 04:10:312018-10-07 22:06:15Feeling Stuck? Saint Louis Family Counseling, LLC is a Missouri Limited Liability Company used to promote the counseling services of Andrew Frager, M.Ed., PLPC, NCC. 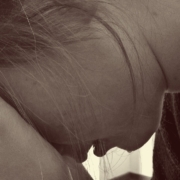 Saint Louis Family Counseling, LLC is not a private practice. Andrew sees clients under the supervision of Karen Grayson, PhD, LPC. MO license number 2009017144.